So last week we shared with you how our photo shoots actually work. 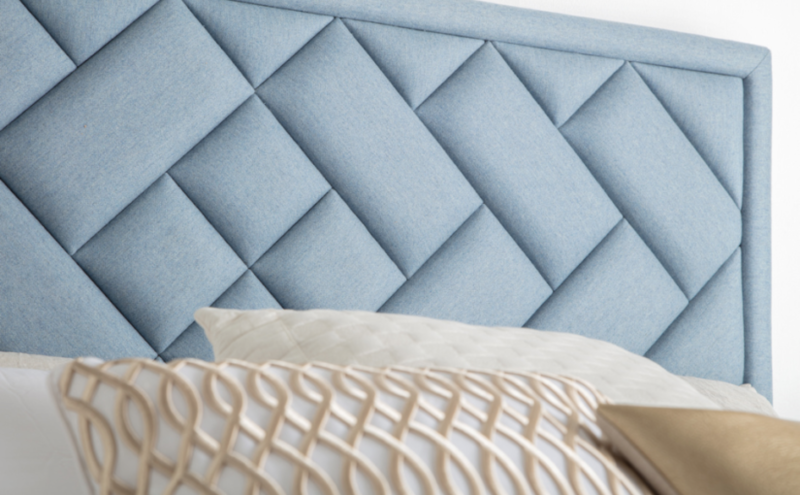 This week, we’re sharing with you our brand new headboard design. We are constantly refreshing our range, and adding new designs to it. And I just know that you are going to love this one. what does our latest headboard design actually look like? Such a good question, and again you will have already seen it in all of its glory in our last blog post. But here it is again, now with a brand new name….Tetris. A woven design with subtle border, this headboard can be added on to any of our storage beds, as either an integrated or non-integrated headboard. Tetris is showing here as a Non-Integrated 74cm Headboard. That means that there is roughly 70cm above the mattress of usable headboard. This is because we recommend mounting non-integrated headboard just below the mattress. This gives the appearance of it looking like it’s part of the bed, when it’s actually saving you space. That’s because you aren’t adding on the depth of the headboard to the overall length of the bed. Which you would be doing if it was integrated. Our new headboard design Tetris, can actually be added on to any of our bed bases. It can be seen in the image with our Illusion bed base with walnut feet. Illusion actually has a whopping 33cm worth of storage depth, despite it looking quite small, you can fit items like full size suitcases in it. This bed and headboard are upholstered in Lana in Sky Blue, which is a wool fabric type. It can be upholstered in any fabric, such as linen, velvet, suede or even real leather. You could even match the upholstered headboard with a wooden bed base too if you prefer. 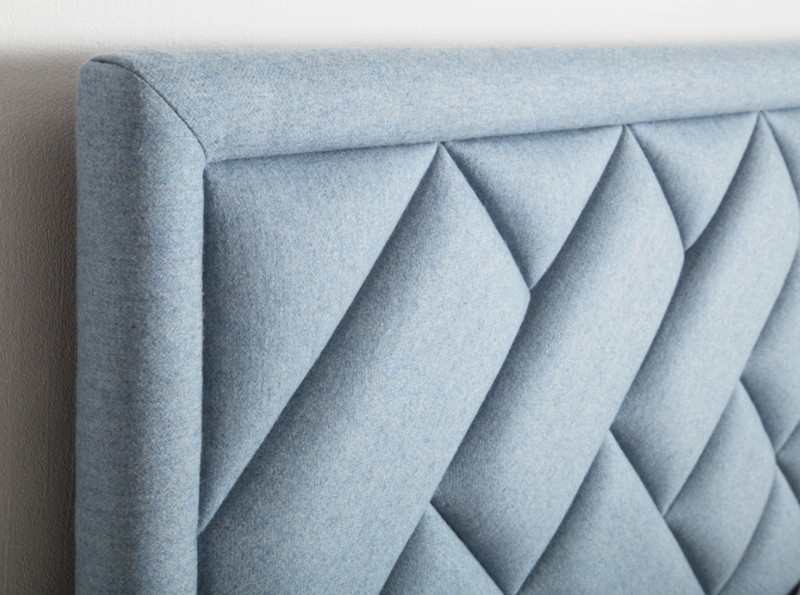 If you like what you see, then you can come and view our Tetris headboard at the showroom. And if you like the fabric too, you can order free fabric samples here. Next Next post: Have you heard about our Max Storage Bed?